One of the supposed truisms about climate change is that it isn’t “fair.” The places undergoing the most ruinous impact share little of the blame for damaging the climate, while the big emitters manage to sidestep most of the harm. This notion was based on assumptions that rising seas or warming temperatures would most affect impoverished places that emit little CO2, like Mali, coastal Bangladesh, or Pacific Island states like Tuvalu and Nauru. While those places have plenty to worry about, they are not alone. A recent bout of extreme weather and related disasters has shown an uncanny preference for wealthy locales with strong connections to the fossil fuel industry. Louisiana and Texas, the Canadian oil sands and the petro-states of the Persian Gulf have been hit by major storms, wildfires and smothering heatwaves. Bizarrely, a few of these events even managed to knock out production of fossil fuels – the very thing that may have caused the bad weather in the first place. Call it a case of climate self-defense. Are all of these events really linked to climate change? Maybe not. But let’s not let that get in the way of an interesting juxtaposition. It is hard to avoid the irony that the climate appears to be fighting back against the industries damaging it. 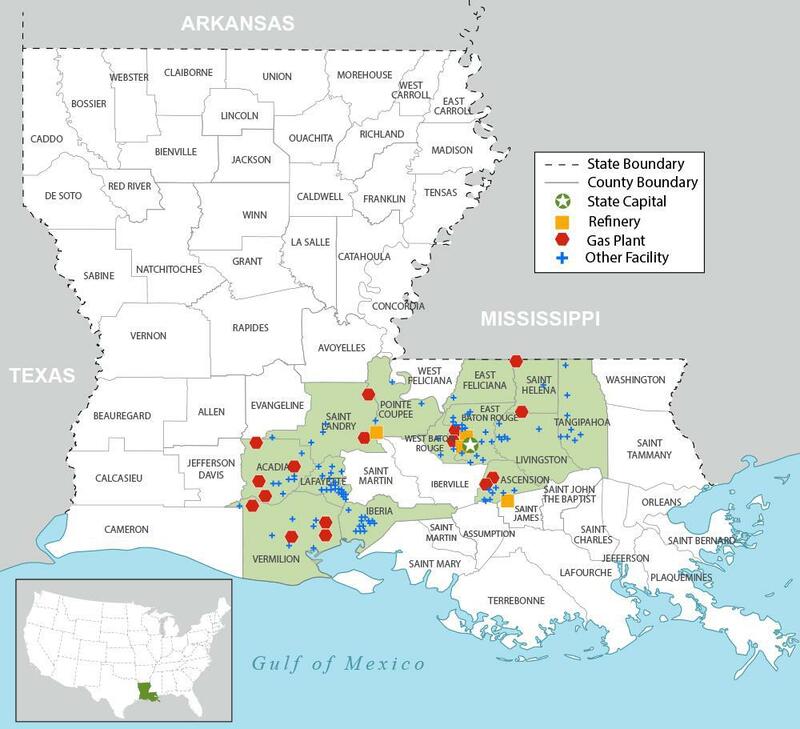 In Southern Louisiana this week, a 39-hour deluge pounded the part of the state that hosts petrochemical plants, oil refineries, and the companies servicing oil and gas rigs and offshore platforms. The flooding appears to have shut down part of a refinery in Baton Rouge and surrounded part of the Saudi-Shell Motiva refinery, while preventing trains bearing crude oil from reaching their destinations. While most oil and gas facilities remained open, many workers couldn’t reach them. Some, presumably, were among the tens of thousands of Louisianans rescued from their rooftops. Commentators speculated that the warming climate exacerbated the huge storm by enabling the atmosphere to hold even more moisture before letting it loose. The resulting “microburst,” a misnomer if there ever was one, has been appropriately renamed a rain bomb by Al Gore. One federal government meteorologist said the Louisiana storm would not have produced as much rainhad it happened 40 years ago when things were cooler. A few months earlier, in May, another disaster was ravaging a fossil fuel complex. The 80,000 residents of Fort McMurray, Alberta, fled the advance of a Rhode Island-sized wildfire that burned them out of homes and businesses. Fort McMurray just happens to be the headquarters of Canada’s oil sands production, one of the world’s most carbon-intense sources of crude oil and transportation fuel. Due largely to the tar sands, which requires fossil fuel to mine and convert into usable form, Albertans have one of the world’s highest carbon footprints, 67 metric tons of CO2 per person, per year. Naturally, folks pointed to climate change as a cause of the record high temperatures that reached 91ºF, causing the fire, and the outage that drove up global crude prices. 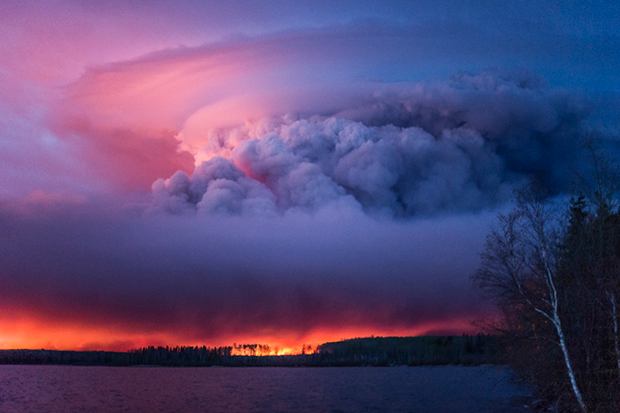 At least one observer described the fire as “climate blowback.” Fort McMurray’s chief industry had contributed to enabling the hot, dry conditions triggering the wildfire, Canada’s worst ever, causing $7 billion in insurance losses. Again, you have to wonder. No part of the world is more synonymous with fossil fuels than the Persian Gulf. About a third of world oil and a fifth of its natural gas flows from the Gulf, home to almost half of remaining crude oil reserves. The Gulf countries include some of the richest countries on earth, and, more importantly, some of the highest carbon footprints. Ironically, these countries are slowly being rendered uninhabitable, due to the changing climate that is being caused, in part, by their chief exports. On July 22, temperatures in Kuwait hit 129.2ºF (54ºC), the hottest temperature ever measured in the Eastern Hemisphere, and the highest ever recorded outside Death Valley. You have to wonder whether workers at Kuwait’s supergiant Burgan oilfield – the world’s second-largest – considered that their success in coaxing oil from the ground was helping make their place of employment more uncomfortable. In neighboring Iraq, residents of Basra had to cope with heat reaching 129ºF, or 53.9ºC. No doubt it was an uncomfortable day at the headquarters of Iraq’s South Oil Co., which controls the 1m barrels per day of production from the nearby Rumaila oilfield, the fourth-largest in the world. Not only is Rumaila’s oil helping stoke the climate, but the field contributes in another way, as one of the world’s top gas-flaring hotspots. Making matters worse is the pervasive humidity in the Gulf. On July 22, the oil bunkering port of Fujairah in the UAE, was undergoing 90-degree humidity, causing it to reach a “heat index” temperature of 140ºF. A year earlier, heat index temperatures in Bandar Mahshahr, Iran, reached a mind-blowing 165 degrees. Bandar Mahshahr just happens to be an export and storage terminalfor Iranian crude oil. By 2090, changes in the climate may render the Persian Gulf oil states too hot for human survival, according to a study in the journal Nature Climate Change. Again, it is hard to ignore that the main business of these countries is helping cause this predicament. What about my hometown, the Energy Capital of the World? Houston hosts more than 5,000 energy-related companies, mainly in the oil and gas industry, as well as two of the biggest oil and gas trade shows. Many of Houston’s energy companies maintain their headquarters in a part of town called the Energy Corridor. The climate, it seems, has noticed. This spring, commuting employees of Houston’s energy sector battled huge storms bringing record rainfall and flooding. May was the wettest month in Texas history. As the rain pounded my own roof and turned my street into a river of floating debris, I couldn’t help but wonder whether the mainstay of my city’s economy was exacerbating the weather event I was witnessing. There is no way of knowing for sure. Houston, like southern Louisiana and the rest of the Gulf coast, happens to get a lot of rain. This year happens to be an El Niño year, which is probably a bigger cause of the prodigious rainfall enveloping the city. There is also the fact that Houston, which used to be surrounded by fields of rice and sugar cane, is now surrounded by yet more Houston. There is no place for the runoff to go. 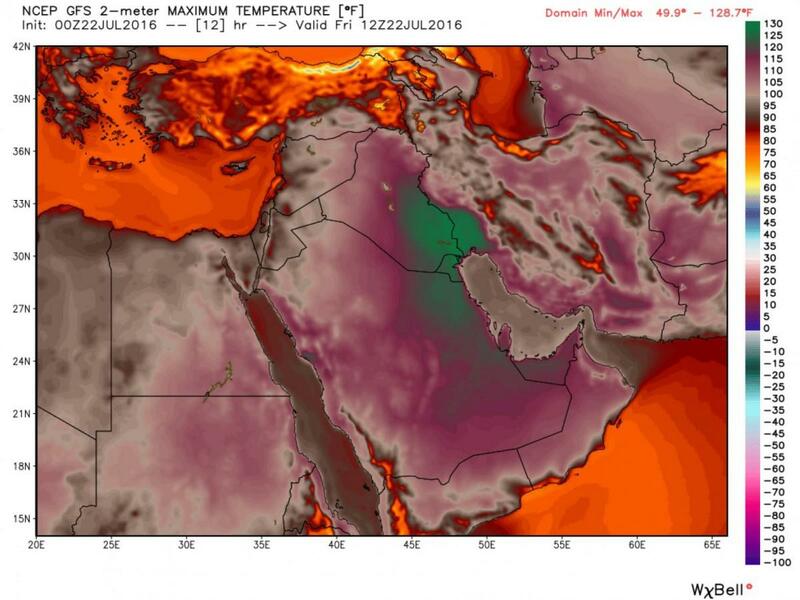 Likewise, Iraq and Kuwait are already hot. I can testify from personal experience, having spent six summers in the region. July 22 is always hot. And Fort McMurray is surrounded by flammable spruce forest which catches fire for any number of reasons.